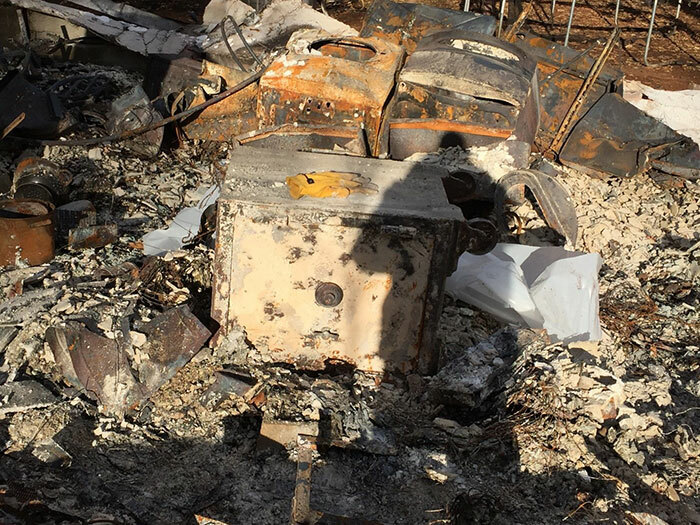 The jewelers safe after the “Camp Fire”, along with remains of the family’s home. I was a young Cub Scout when I needed a hobby to earn a badge. My dad was a coin collector, and he sparked my interest in collecting United States coins. It started like the rest of my friends, filling in the old Whitman coin folders with change out of my dad’s pocket or picking through the change of just about anyone in my family. After a while, my dad started bringing me home $50.00 bags of dimes to pick through. This was back in the late 50s early 60s. Many mercury dimes were still floating around with walking Liberty’s and buffalo nickels not to mention silver dollars. Then one day I fell hard for buffalo nickels. The design is what got me, and the way it filled the whole planchet all the way up. I remember my dad telling me that the buffalo nickel design is the most American looking coin ever minted. I agree with those words to this day. As I grew older coins were always with me, they sunk into my bone like no other hobby I’ve had in my entire life. It was part of who I was. Like most hobbies, my collecting tended to go dormant from time to time, but coins were never very far away from the top of my interests. I married and had two kids, a boy and a girl. My life was in warp speed as my family grew up my folks grew old and finally passed away. A few years after my dad passed on, I stumbled across my very old coin collection. It was a blast from the past as I thumbed through coins that I remembered finding with my dad. That was what rekindled a huge surge in my coin collecting again. That along with the digital macro photography that I’ve taken to like a duck takes to water because I’ve been a shutterbug most of my life. My world spinning even faster now I have not only a son I got interested in coins but my grandson too. In many ways, coins have enhanced my life with memories made with my dad and the memories already made with my loving son. 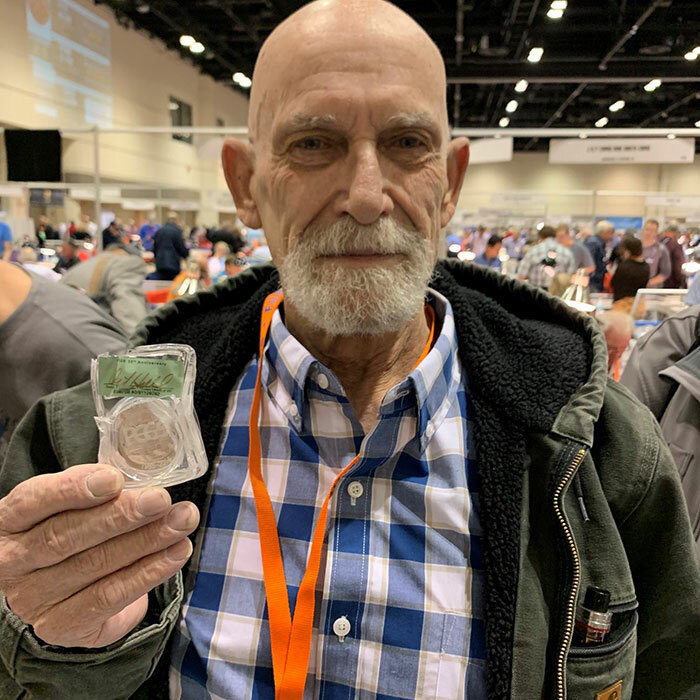 Joe Best holds a PCGS holder that had been damaged by the camp fire, at the FUN Convention in Orlando, Florida, January 2019. This brings me around to probably the worst day of my life when on November 8th I woke up to a red glow. The red glow was a fire way off in the distance that we’ve seen so many times. Not a big red flag, yet. The next thing I knew is this fire was not like any other fire in the state of California where I have lived since I was born in 1951, it was moving extremely fast. I had very little time to grab three armloads of mostly photo albums to my Honda. The next thing I know is I could hear explosions all around me that made the ground sake. Those were propane tanks and getting closer with every boom. The wind was blowing fire from tree to tree as the sky turned black with the power out and no cell phone use to call out to my son. I had to leave the house. My daughter and my granddaughter, along with my son in law, left my house way before I did. So, I knew where they were. It was my son and grandson. I was worried sick over cause the last thing I told him was to “just get in your truck and leave!” then the cell phones went out. A long story short we escaped with our lives along with our animals so for that right there I thank God in heaven. Unfortunately, my beloved coin collection was left behind. 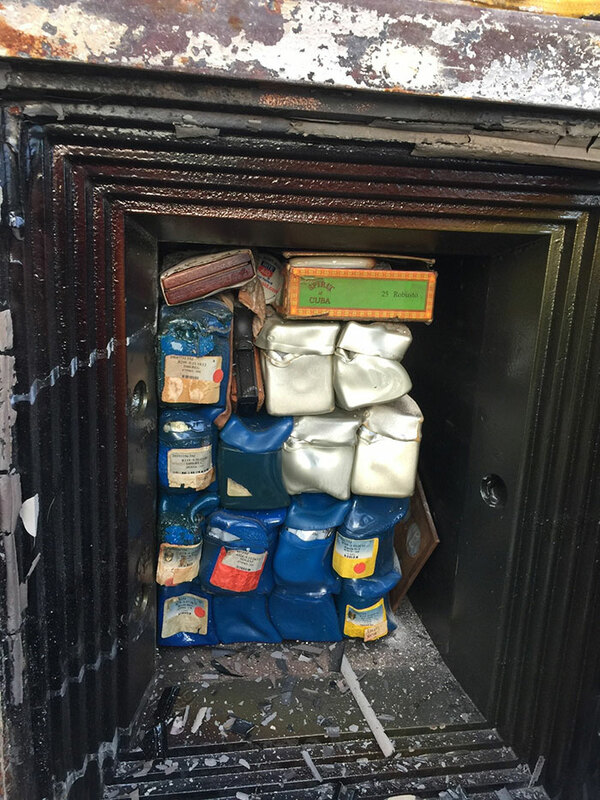 I was only able to grab a few coin albums as I was forced to abandon my main collection, which was housed in a 1942 Jewelers safe in the burning house. I had no choice as I had to run for my life and get my family out of there. 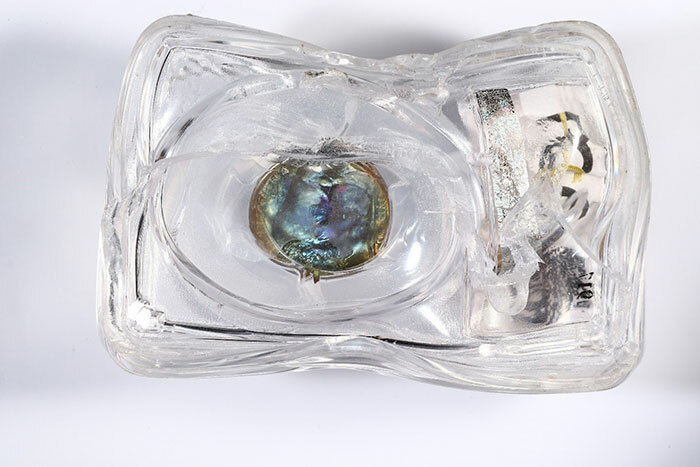 Contents inside the jewelers safe appear warped but intact. Now without a home, we were hotel hoping like never before in my life with dogs, cats, birds, lizards and my infant granddaughter. From out of nowhere angels came to my family’s rescue in the shape of my coin family, good folks! My loved PCGS coin forum and a couple of very close friends, Jim Bowling (@jesbroken) teamed up with a sweetheart @Paradisefound to start a GoFundMe to raise funds to help us over this tragedy. It was heaven sent. Upon returning to my home to see what remained, I was in disbelief to see the Jewelers safe. 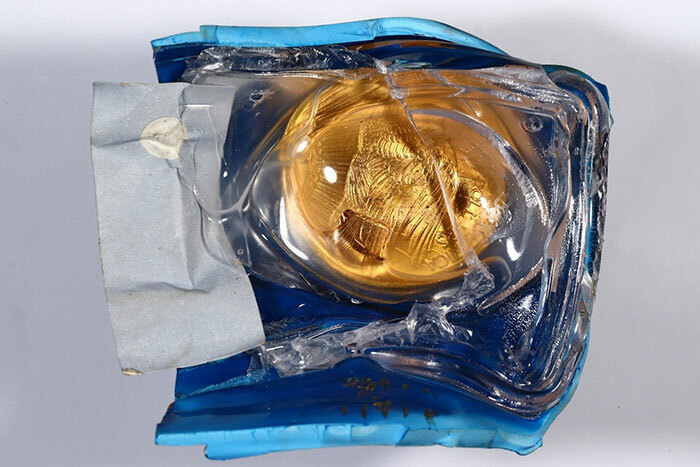 The coin holder boxes and coins holders were severely warped; however, the coins had remained protected by the holders themselves. 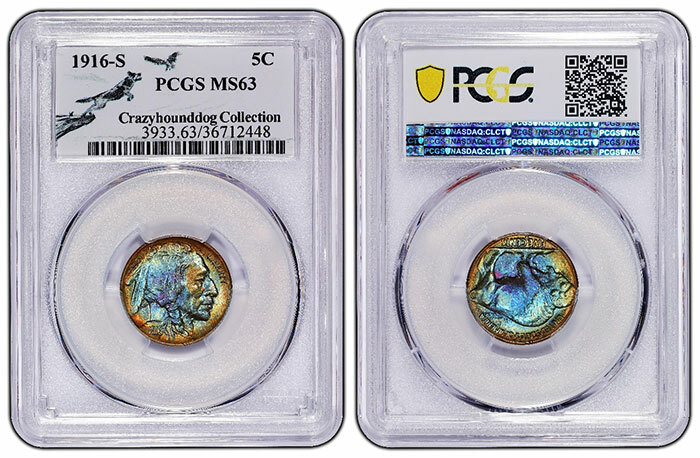 Not only that but PCGS reached out to me and offered to restore and reholder my entire lifetime collection as a gift. They even made me a custom label based on a design my family felt most represented me, and a Crazyhounddog pedigree! We have lost pretty much everything in this world, but these acts of love have restored my faith in humanity 100%. I also need to add that my father took me to almost every coin show he attended, and boy do I remember the coins back then! But what stands out in my mind most are the good folks that surround coins. My dad spent as much time jawboning and belly laughing as he did looking at coins. That my friends hasn’t changed. You will absolutely meet the best people in those coin circles. With much love, I thank you all, and that’s straight from the heart. Special label and pedigree designated to Joe Best’s ’Crazyhoundog Collection’. 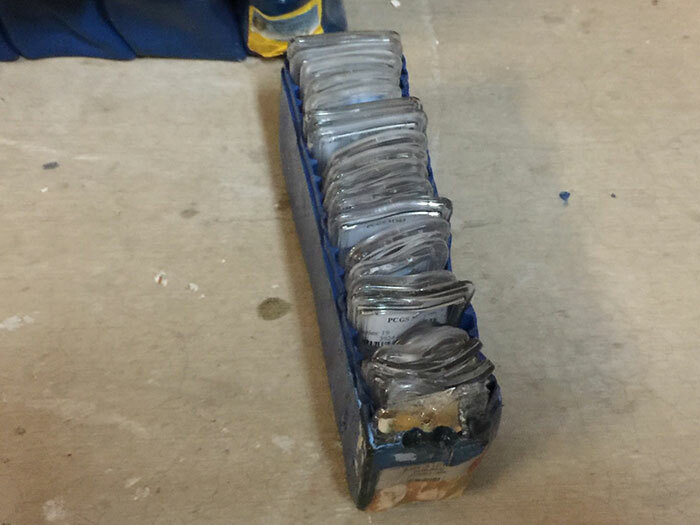 A PCGS box inside the safe contains warped yet intact PCGS holders. Warped PCGS holder with intact St. Gaudens Double Eagle. Warped PCGS holder with intact Buffalo Nickel.